When you need a straight cymbal stand that provides you with the stability you need, trust the Tama HC82W Roadpro series cymbal stand. Its patented Quick-Set Tilter is one of the most reliable tilter mechanisms Sweetwater drummers have gotten their hands on, particularly considering that it's infinitely adjustable. Similarly, the Quick-Set Cymbal Mate make attaching and detaching cymbals a breeze. 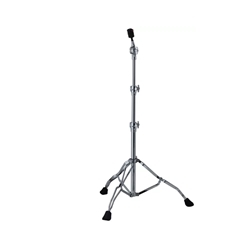 And with its ultra-stable double-braced legs and Quick-Set hardware, the Tama HC82W Roadpro cymbal stand offers you extremely secure support for your cymbals.